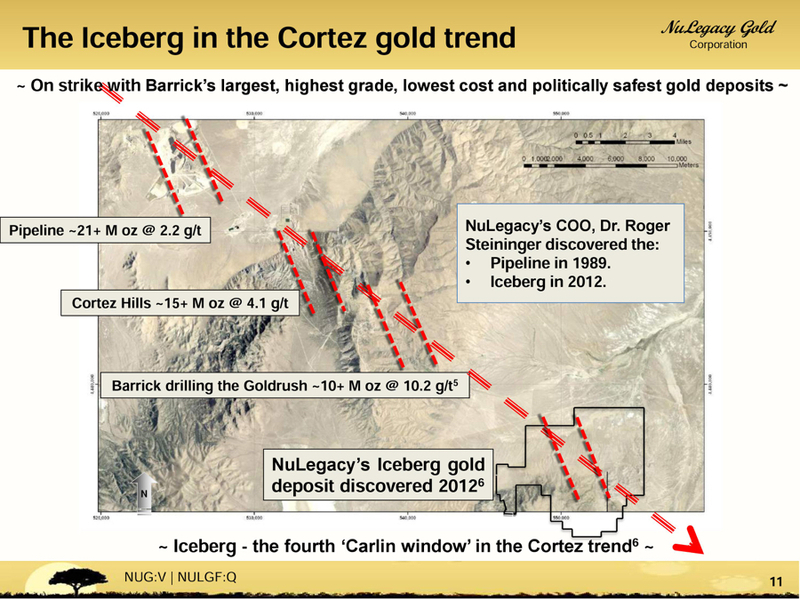 July 12, 2016 - Reno, NV - NuLegacy Gold Corporation reports it has increased the non-brokered private placement financing announced July 4, 2016 to 19.5 million units to accommodate demand. "We greatly appreciate this show of support from our existing and new shareholders," said NuLegacy CEO, James Anderson, "It will allow us to expand the operation by adding new expertise, executing additional geo-physical and geo-chemical survey programs that were previously constrained by budgetary limitations and modestly accelerate the drilling programs." Each C$0.30 unit consists of one common share and a share purchase warrant, with each warrant entitling the holder to purchase one additional common share for a period, subject to acceleration, of eighteen months from closing date at an exercise price of $0.45. The proceeds of the financing will fund the Company's gold exploration programs and general corporate purposes. The financing is expected to close on or about July 13, 2016, subject to the potential issuance of additional units, if any, pursuant to the exercise of existing equity participation rights as disclosed in the Company's news release of July 4, 2016. Closing is subject to conditional acceptance of the TSX Venture Exchange and finder's fees may be paid in accordance with Exchange policies.